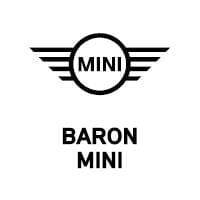 Why Buy at Baron MINI? Kansas City’s Original MINI Dealership established in 2002, with the introduction of the MINI Brand 15+ years of Motoring Fun. We are one of the top selling MINI dealerships in the nation. Experienced and knowledgeable sales staff, dating back to 2002, no hassle buying. Accessories Manager to customize your MINI with innovative graphic designs, and accessories to personalize your ride. Certified and award winning Service Technicians, Service Advisors, Motoring Advisors and Management. Product Specialist to answer details or functions of your vehicle during ownership. 30 Service Loaner vehicles provided for service customers. Valet service for special scheduled service or maintenance to and from your home or office. Largest inventory and selection of new MINI models in the area. More choices and options. Racing heritage. Be part of the history. We sell Fun, Performance, Innovation and Safety.